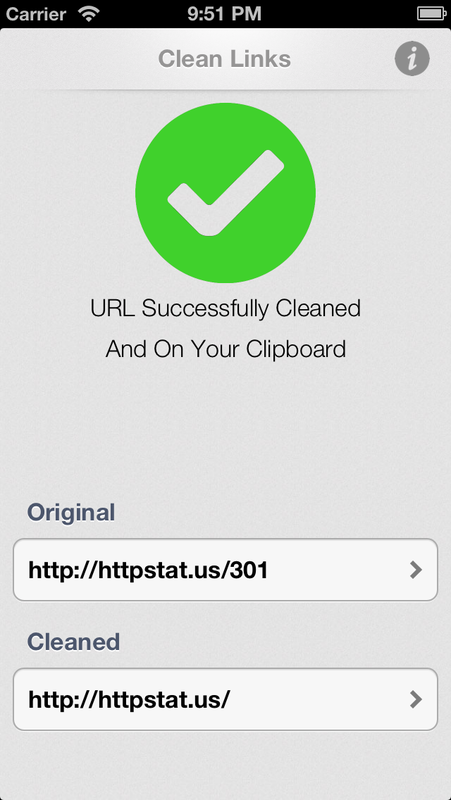 Clean Links cleans & resolves URLs that have been shortened or proxied. It also removes unneeded tokens such as UTM components. 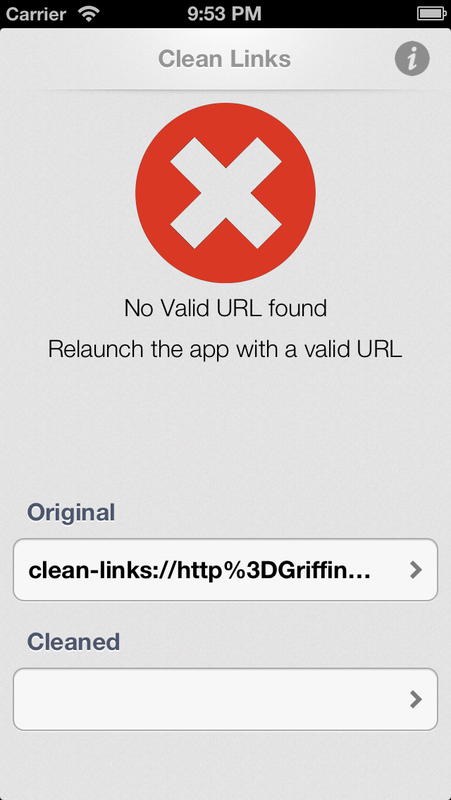 Clean Links also fully supports the X-Callback-URL Scheme. You can find full documentation here including an X-Callback-URL usage overview. Copyright © 2013 Small Potatoes Studio, Inc. All Rights Reserved.